Create raised, textured bird with modeling paste, stencil and a pallet knife on the scrapbook paper. Let dry. Create a framing edge around the birds with Gelato colors; butter cream & guava. Blend colors with the foam blending tool. Cheryl Boglioli is a Florida native, a wife, and a mother of one beautiful daughter. She is a mixed media artist, craft designer, and educator who loves to stay on the cutting edge of new products and techniques as it pertains to the crafting industry. She achieved a CHA Designer Member status in 2011 and in 2012 became a full-time designer and educator traveling and teaching workshops at local scrapbook stores and events. She currently works with several manufacturers in the industry including Tattered Angels, Canvas Corp, Basically Bare, Helmar and Zutter. Welcome back to part two of our mixed media play along. I hope you had a chance to play with yesterday's techniques and that you found yesterday's video of me working on my project helpful! I love to use old book text in my mixed media projects. In fact, that's all I really use "real" books for anymore now that read books on my e-reader! Hi everyone! 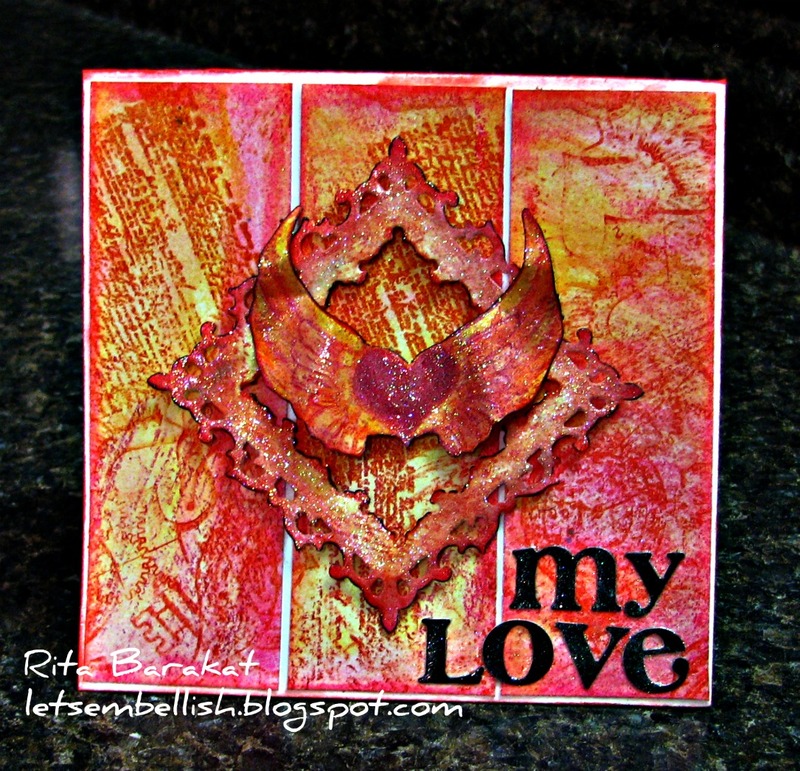 Here's a card that Tiffany Johnson made using Gelatos and Helmar glue. Hi everyone, it's Erin here, back again to share with you some fun mixed media techniques. You are welcome to play along with me today and tomorrow & create your own mixed media project! You know what, I love to do art journals, but sometimes the page I'm working on turns out really cool and I want to frame it...so that's just what I did with this piece. Since I knew I was going to share this project here on the blog, I filmed myself as I worked on the background of this page instead of taking a photo of each layer since there are SO many layers! I started off with my spiral bound 11" x 15" cold press water color paper art journal that I often use. The kids (and the adults, of course!) had a ball coloring with the Gelatos. And the Helmar glue was easy to use and was strong enough for a 3D project. For a peek at how to create these flowers, click HERE for a video tutorial. In a crafting slump? Layout A Day has a solution with this girly tag (made with Stamper's Big Brush Pens and Gelatos!). Click on the link for detailed instructions on her blog! Hey bloggers Rita Barakat here! We are currently doing featured posts with Faber-Castell Design Memory Craft and Helmar! 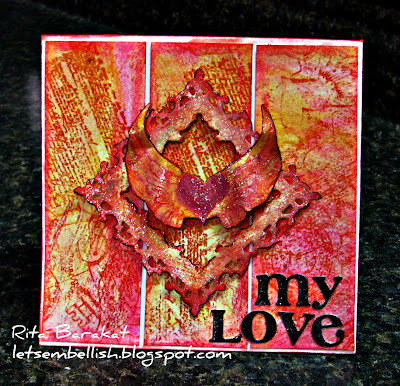 I came up with this card using Gelatos™, a red Stamper’s Big Brush Pen , stamps, glitter & Helmar Scrap Dots.